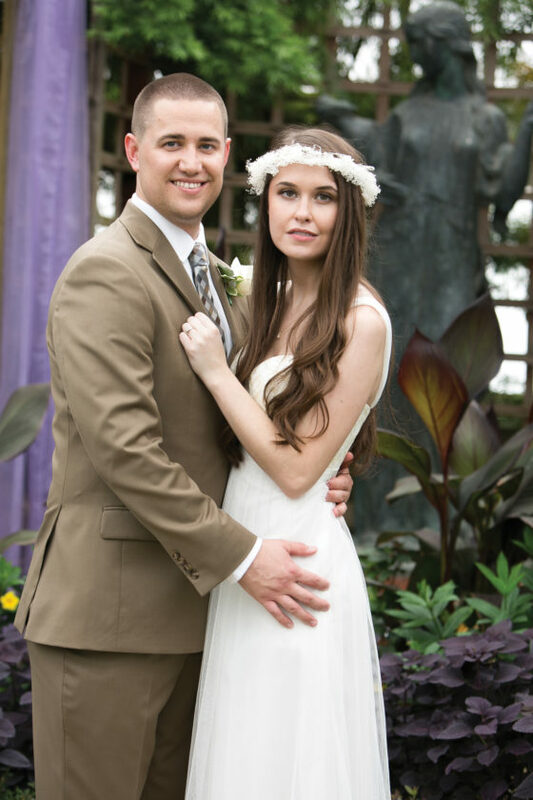 The Broderie Room in the historic Phipps Conservatory and Botanical Gardens in Schenley Park-Pittsburgh was the setting for the intimate wedding of Natalie Ann McLaughlin and Eric Christopher Weber on September 17, 2016. The Reverend Ronald Weryha performed the nuptials. 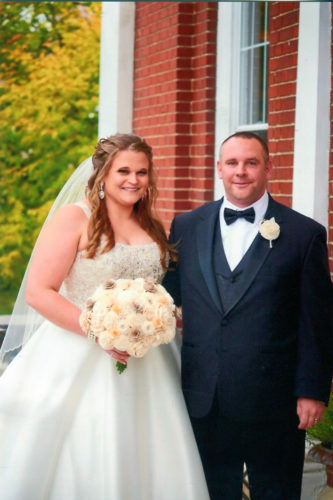 Natalie is the daughter of Patrick and Vicki McLaughlin of Tidioute, PA. Eric is the son of Robert and Barbara Weber of Baldwin, PA. Molly Westwood, friend of the bride served as maid of honor and Jeffrey Weber brother of the groom served as the best man. Following the ceremony family style dinner/reception was held at the Cornerstone Restaurant in Aspinwall, Pa. Eric and Natalie both received Bachelor of Science degrees from the Indiana University of Pennsylvania. Eric is employed by First National Bank and Natalie is employed by Community Care Behavioral Health both in the Pittsburgh area. The couple resides in West Mifflin, Pa.